Dr. Terrie A. Rich D. C.
Dr. Terrie Rich is a Doctor of Chiropractic, Master of Nutrition Response testing ®, Board Certified in Acupuncture and a BWC certified provider. Her dedication to provide better care for her patients has lead her to nutritional healing through the use of herbs and whole food concentrates. Dr. Rich has experience working with men, women, and children with a wide variety of health challenges. Nothing makes her happier than knowing her life's work and dedication has helped someone restore their health. Dr. Rich graduated from Youngstown State University in 1991 with a B.S. in Pre-Med. She then went on to attend The National College of Chiropractic, where she earned a B.S. in Human Biology and a Doctor of Chiropractic D.C. She continued her education in postgraduate studies toward a 3-year Diplomat degree in orthopedics of which she is board-eligible. 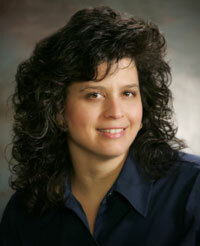 Dr. Rich opened her practice in July of 1996 in Hubbard, Ohio. Dr. Rich brings knowledge, passion, and understanding to every patient and every patient is heard. Main Office Location at 967 W. Liberty St.
Second location at Healthy Balance Massage 10 E. Liberty St.